Published to celebrate the 40th anniversary of Yorkshire Television and its flagship programme "Calendar", this profusely illustrated hardback centres on the evermore popular subject of Our Weather. It features interviews with leading personalities in the world of YTV, as instanced by Derek Fowlds ('Oscar Blaketon' in "Heartbeat") and Chris Chittell ('Eric Pollard' in "Emmerdale"). 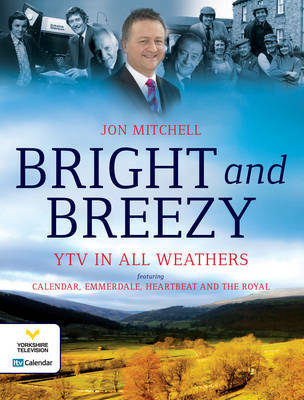 They give a unique insight into the pleasures and perils of filming in the stunning Yorkshire landscape in rain or shine, gale or flood.The book has been compiled by Jon Mitchell, who for well over a decade has presented the weather forecasts on "Calendar". He outlines the changes that have occurred in forecasting over the last forty years and relates memorable moments in his broadcasting career in a humorous and readable way.At its heart is a stunning collection of images sent into the programme by viewers and capturing the region's weather in all its many moods. Taking the reader through the "Calendar" year, they include captions that both inform and entertain. The royalties from the sales of this book are being donated to the Yorkshire and Lincolnshire Air Ambulance.